Posted on August 25, 2015 by Captain Bligh! Michael J. Boyd, Captain and Head Coach of the local Phantom Dragons team, raced in the coveted right stroke position on Team USA’s Senior C Mixed crew in the 12th IDBF Dragon Boat World Championships, held in Welland, Ontario this August. For dragon boaters, this is the pinnacle event – the equivalent of what the Olympic Games represents for more conventional sports. Notably, Boyd is the first paddler from Colorado to try out for and be selected to race on a World Championship level dragon boat team. Needless to say, he considered this experience to be the event of a lifetime! The Team USA Senior C crew paddled with determination and heart in the 2000-meter, 500-meter and 200-meter divisions, setting a National Record for their time in the 200 meter races. However, the combined time for their two fastest (of three) heats in that division left them a scant 0.22 seconds behind Germany in the race for third place – heartbreakingly close, but just off the podium and out of the medals. Here is a video of their Final Race in the 200-Meter Division. Also check out Mike’s interview with Richard Smith of Belief Sport TV that provided live online coverage of the event . . .
Posted on August 10, 2015 by Captain Bligh! In less than two weeks, Michael Boyd, Captain and Head Coach of the local Phantom Dragons team, will be racing in the IDBF Dragon Boat World Championships in Welland, Ontario. Posted on February 5, 2014 by Captain Bligh! Deborah Boyd (Princess) got her start in dragon boating in 2004, when she was reluctantly recruited to race in the Colorado Dragon Boat Festival on a team led by Michael Boyd (later to become her husband). 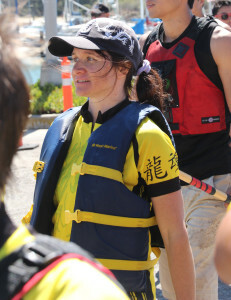 Deb has attended week-long dragon boat camps taught by world champion level coaches / paddlers in Florida for the past five years, and completed a Dragon Boat Canada Level I Recreational Coaching Certification course in 2012. Now Co-Captain and Assistant Coach of the Phantom Dragons, Deb (a/k/a Princess) has helped her team to successfully compete in out-of-state festivals in Las Vegas, San Diego, San Francisco and Tempe, Arizona. Posted on April 5, 2013 by Captain Bligh! 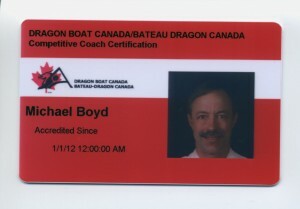 Michael J. Boyd (Captain Bligh), Head Coach and Team Captain of the Phantom Dragons, is now an official Dragon Boat Canada Level II Certified Competitive Coach. When Colorado Dragon Boat Festival (CDBF) started in 2001, Tom was captain of a racing team sponsored by the Organization of Chinese Americans (OCA) of Colorado, one of the founding CDBF organizations. His team took the Silver Medal in their division. He switched to land duty during the years 2002 – 2007, when he helped, then directed the racing event, expanding the participation from 32 adult teams (2002) to 48 adult teams and eight youth team (2006), racing over a two day period. Tom retired from directing the races in 2007 and turned his attention to taking dragon boat racing in Colorado to the next level, desiring to form competitive teams capable of racing against teams in other cities. In 2008, 2009, 2010, and 2012 he attended dragon boat training camps in Melbourne FL, offered by Great White North, and later by Jim Farintosh, of Toronto Canada. 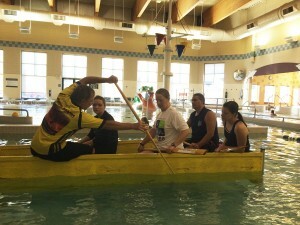 While learning and practicing paddling and racing techniques three hours a day in camp, he also participated in training sessions which lead to Dragon Boat Racing Coach certification. In order to establish an advanced racing program, he is working with other people with similar aspirations by forming the Dragonboat Racing Association of Colorado (DRACO). He is eager to convey his acquired knowledge to racers who want to paddle more than one weekend a year, enjoy the camaraderie of other racers, enjoy the excitement of competing with some of the premier racing teams in North America. Tom was able to return to the water in 2008 when he coached the Maestas TKD Dungeonless Dragons and raced with them as their drummer. “While we didn’t win any medals, and finished in the middle of the pack, we had a lot of fun and learned some lessons, one of which is ‘we can do better’!” Paddles up, take it away!! Posted on January 14, 2013 by Captain Bligh! Michael Boyd (Captain Bligh!) serves as President, and is one of the founding members of the Dragonboat Racing Association of Colorado (DRACO), who’s primary goal is to promote dragon boat racing in Colorado. As Head coach of the Phantom Dragons, Mike has an additional aspiration – to train competitive dragon boat teams to compete in local, national and international races. One of his dreams recently came true – last year Mike became the first Colorado paddler to ever try out for and be selected as a Team USA crew member. 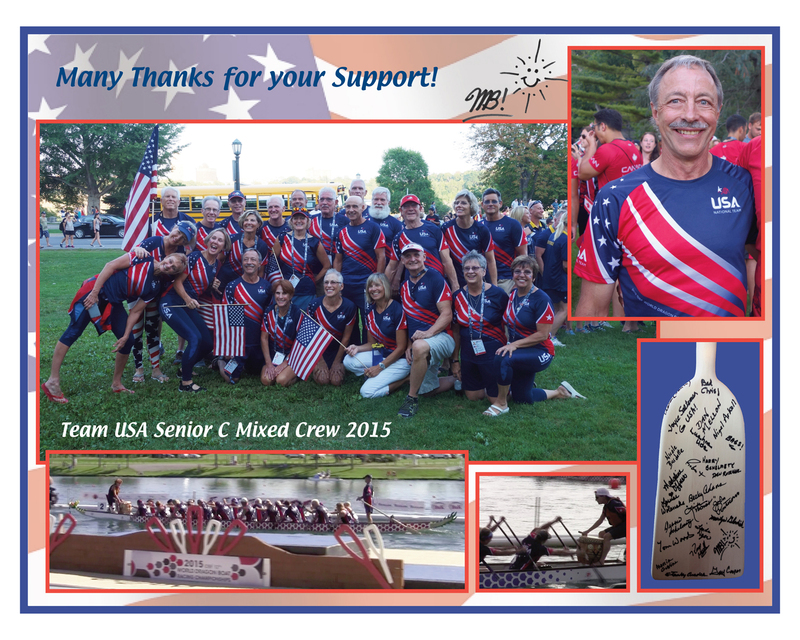 He raced in the coveted right stroke position on Team USA’s Senior C Mixed crew in the 12th IDBF Dragon Boat World Championships, held in Welland, Ontario in August of 2015. Mike got his start in dragon boating in 2003, when he formed a team to race in the Colorado Dragon Boat Festival as a fund-raiser to help send three students (including himself) to Brisbane, Australia to compete as part of Team USA in an International TaeKwon-Do Championship tournament. He was instantly hooked on dragon boat racing, and has continued to coach and serve as captain for teams participating in the CDBF each year. 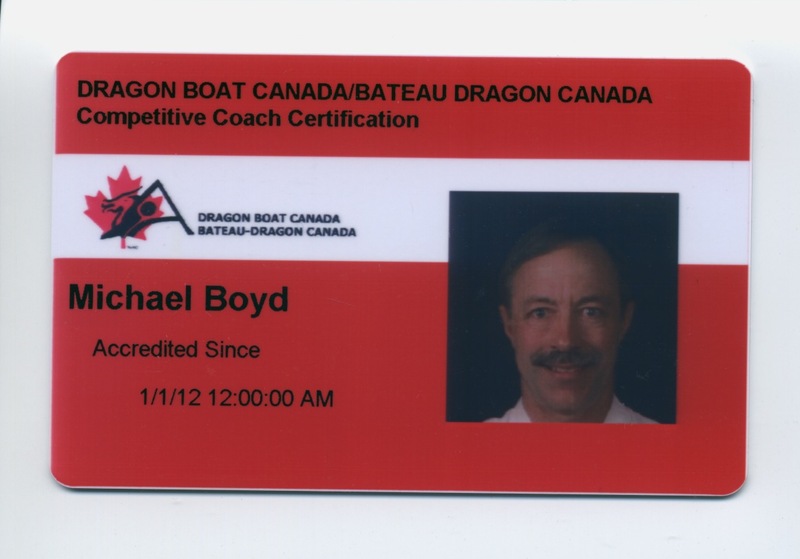 Mike has attended week-long dragon boat camps taught by world champion level coaches / paddlers in Florida for seven years, and completed a Dragon Boat Canada Level II Competitive Coaching Certification course in Pickering, Ontario in 2013. Now Captain and Head Coach of the Phantom Dragons, Mike (a/k/a Captain Bligh) has led his team to successfully compete in out-of-state festivals in Las Vegas, San Diego, San Francisco and Tempe. In the 2011 Arizona competition, his team was awarded the prestigious Spirit of Qu Yuan award for demonstrating outstanding sportsmanship and honor. 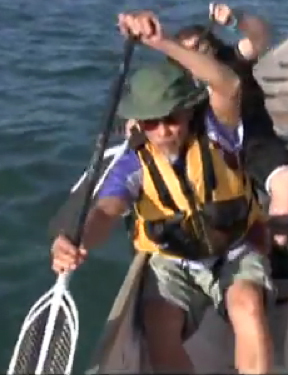 More recently, he was recognized in a Letter from Senator Mark Udall for his contributions to dragon boat racing in Colorado, and for his team’s performance in the San Francisco International Dragon Boat Festival. 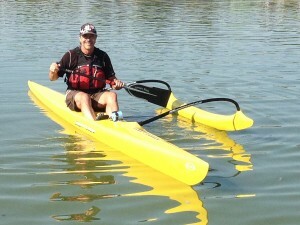 Most recently, he is heading up the effort to establish a Breast Cancer Survivor (BCS) dragon boat program in Colorado. 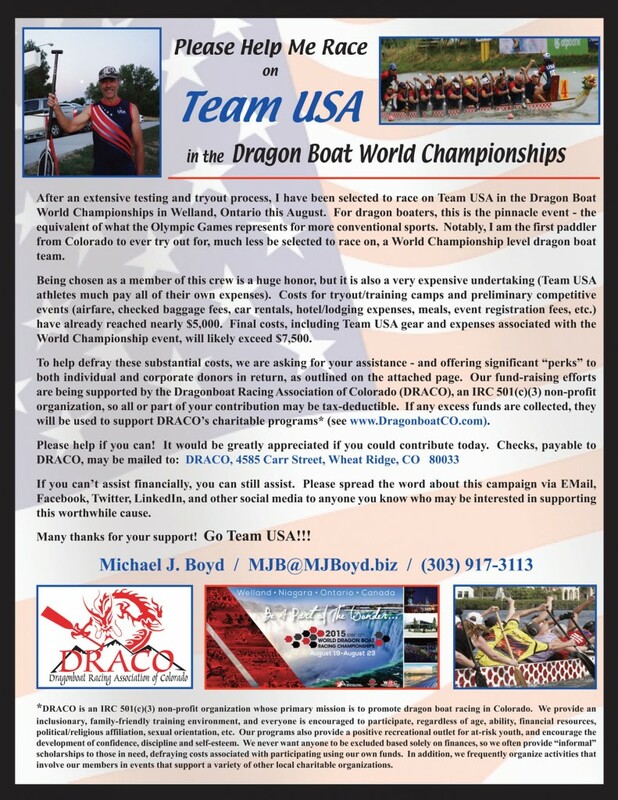 Contact Us, and see how Mike can help you and/or your team reach a new level of competitive performance in dragon boat racing!